Paintless dent repair (PDR) is a method of repairing dings and dents in your car via specialized tools that either push the metal back into its original shape from behind the dent or by pulling from the outside surface of the dent. 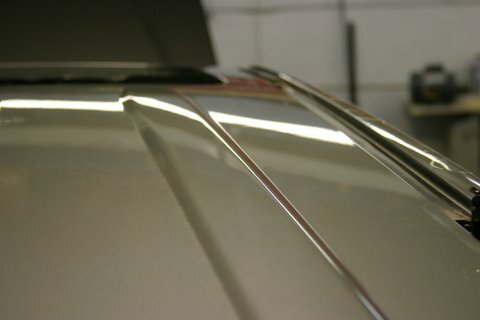 With PDR there is no body filler, sanding, or painting required. 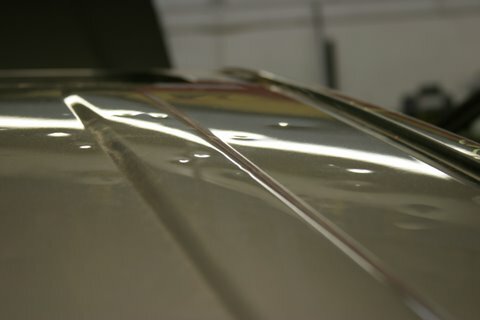 Paintless dent repair is great for hail dent repair and most small dents caused by car doors and other damaging forces. Dents disappear without any signs they were ever there and your vehicle’s original factory paint is retained. At Nylund’s Collision Center, we offer paintless dent repair for the Denver Metro and Front Range area both in the auto body repair process and as a service on its own. Q – Will my insurance cover PDR? A – Yes, but it is so economical that it may be under your deductible to repair your dent. Q – Will my paint be damaged? A – No! That is the benefit of PDR. Q – Will my dents be 100% gone? A – In most cases the dents are 100% gone. However there are cases where the dent is too sharp and deep. With these cases we will advise you that paintless dent repair may not work, but that we can try to repair the dent with PDR. In most cases we are successful. the panel has not had previous body repair. Q – Can any dent be fixed? A – Most can be fixed, but there are cases where the metal is stretched or the dent is too sharp and deep for PDR to work. In this case we will recommend that you consider body repair. Q – Do you do scratches or paint work? A – Yes, but this is not a paintless dent removal process. We are happy to help you with any body work on your vehicle.